VICTORIA VIEW CONDO AT 807-777 BLANSHARD STREET SOLD WITH COMPETING OFFERS. I recently listed a 8th floor Mountain and Ocean view condo in a Steel & Concrete Highrise called "The Savoy". Located just one block behind Victoria's Fairmont Empress Hotel on Victoria's Inner Harbour. The First two weeks we saw only one showing of the Condo. Then I cranked up my online marketing with my blogging in Active Rain and my web site, plus posting details about this view condo in all my Social Media Sites LinkedIn, Facebook, Google+, Pinterest, and Twitter. My online marketing brought a huge response of interested Downtown Condo Buyers, and two competing offers(Bidding against one another). The Seller is very pleased, they had hired me after being rejected by another Realtor...Can you imagine?. My Sellers called me because they Goggled their building and saw I had Sold another Condo in their building recently. They asked if I was interested in seeing their condo in The Savoy and hopefully listing it for sale. They told me on the phone another Realtor had told them over the phone " If you don't list your condo at my suggested listing price I'm not interested" Wow, who talks to Consumers like that in this day and Age. My Response was "When can we meet with you to see your condo and list it for sale!" The Rest is history, Paint This Victoria View Condo SOLD! See my Virtual Tour of 807-777 Blanshard Street a Downtown Ocean and Mountain View Condo in The Savoy. Google Street View Map 777 Blanshard Steet. Fred, congratulations on competing offers, and bet your Seller is thrilled. It is a beautiful condo! Hi Joan Cox My Seller is excuited. The Lady just sent me the following Testimonial..Nice to get these. "Can't say enough about the professionalism and respect that Fred Carver has. He came to meet with us on short notice and immediately made me comfortable with his experience. He showed me how committed he was to selling my condo and made sure I would sell my condo for a fair price. 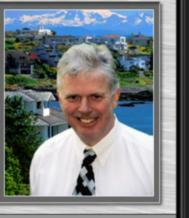 Most definitely I will be recommending Fred Carver to anyone who is looking for an realtor who looks after you 100%. Thank you Fred!" Read my new BLOG post on Active Rain. It provides some thoughts from a retired guy on Government Relations for REALTORS to do themselves. Hi JIm Bennett, Welcome to Active Rain, I'll certainly head over and read your first blog post. Call or email me if I can assist you in any way.